Sunglasses serve two functions. Protect eyes from the harmful effects or prolonged sun exposure, and make you look way cooler. Let’s be honest, both functions are pretty important in the long run. The best sunglasses for fishing go one step further and help to reduce glare from water surfaces, too. When it comes time to drop some dough on a fresh pair of fishing sunglasses you want to be sure you’re getting your money’s worth. That’s why I’m going to help you figure out what features really matter. I’m also going to help you find a pair of top rated fishing glasses by recommending a few high-quality glasses that you can pick from. 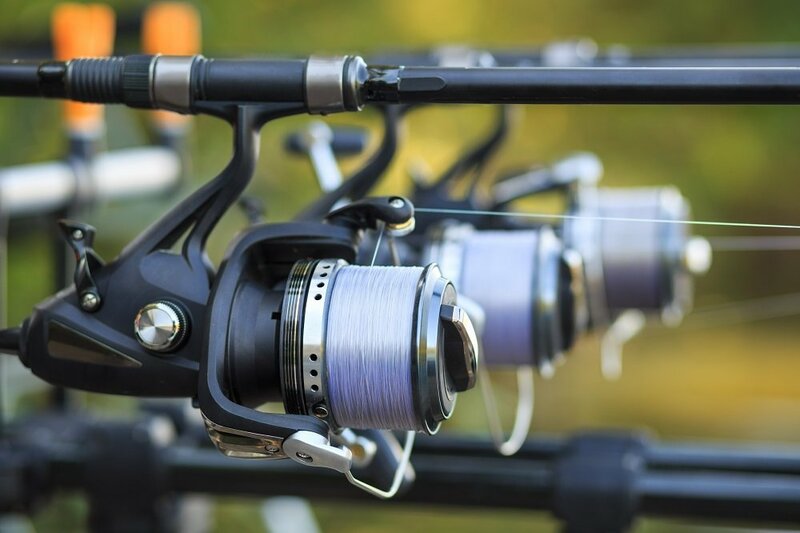 For more of my top gear recommendations, have a look through these popular Outside Pursuits guide links: Fishing Kayaks, Fishing PFDs, Baitcasting Reels. Let’s get right into it so you can order that new pair of shades today! These full frame glasses are a happy medium between athletic performance and casual appeal. I like that the temples on these shades has a rubberized coating on the end to help secure the glasses to your face. This prevents them from slipping down your nose or falling off altogether when you bend over or look down. One of the biggest benefits of this particular pair of shades is that they come in a ton of color options. If you like the design and style you won’t have to look far to find them in an array of VLT options and many color choices. Polycarbonate lenses are durable and affordable. I like that they paired the lenses with a nylon frame which should hold up to just about anything you throw at them. Now don’t get me wrong, you can’t back over them with a truck, but they’ll be sturdy wearers for daily fishing and evening beers. They are 100% polarized and Costa recommends the Blue Mirror Polarized model for open water applications where full sun and glare are expected. Costa is known for making great sunglasses and the Fantails are the best polarized fishing sunglasses for the money! Be careful ordering some of the higher transmission lenses – they may let through too much light on a sunny day! Best For: Anglers looking for tons of options in a single style from a widely trusted brand. While these polarized fishing sunglasses stray into the realm of casual frame and styling, these lenses keep up with fishing needs no problem. Of course, the only real problem with the slim frames is that they may not block out light coming from the side such as sun reflecting from the water. But many users hate the look of full thickness frames and that’s okay too! These rectangle framed shades have spring hinges so they can absorb some bending and flexing. This is good for fitment on wider faces as well as accidental bending. They are a larger fit profile though so if you have a slim face, they may feel sloppy altogether. Higher-end lenses quickly can become unaffordable and offer marginal gains for the price. Lower quality lenses are just junk. I like the polarized polycarbonate lenses because they’re just the right tool for the job in my book. Overall they’re a good choice for the best fishing sunglasses for the money that will be right at home on the water. I recommend the polarized mirrored lens option for sunny days on the water. Best For: A more modern and contemporary aesthetic while maintaining the needs of anglers. These are an excellent choice for fishing sunglasses that are both modern, yet sporty. I love that they’re available in three frame colors and three lens colors. This gives you tons of options in a market where, let’s face it, color is a pretty important buying decision. It may not affect the performance of your shades, but it sure makes a difference in how much you like the look of them. I love that these shades are 100% UV protected. 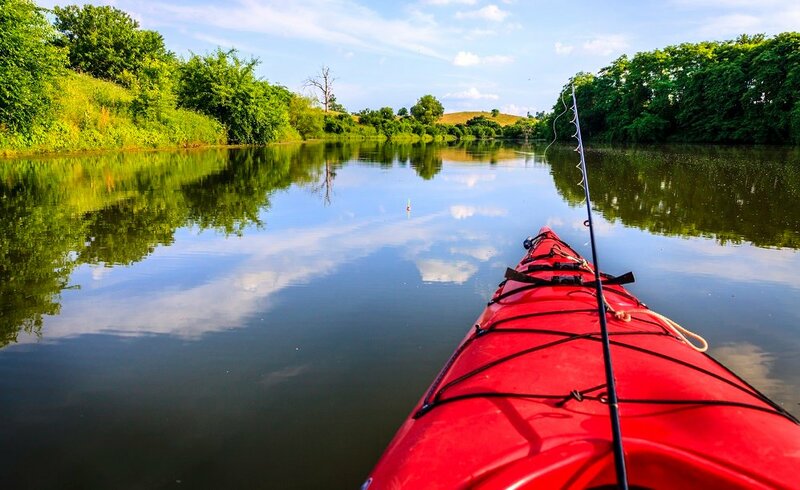 The lenses are coated to block and absorb all of the incoming harmful light which is doubly important on the water where it can reflect back at you. With a fully wrapped frame they’re going to block out any ambient light trying to sneak around the corners. This is an important factor for me, because being on the water means you get reflections and glare from every angle. Keep those glares out of your eyes by using a full frame sunglass like the Revo’s. Best For: Fishermen looking for a mix of sport performance and the best fishing sunglasses in a great combo package. Maui Jim is a popular name in sunglasses and their Peahi model fits our recommendations for fishing. With saltwater safe lens coatings and frame hardware these make a good choice for coastal anglers. The frames come in a bit larger than the Hobie Bajas but maybe not quite as big as some of the full framed glasses we reviewed earlier. This makes them a happy medium between the bulky look of a full frame pair of sunglasses and the thinner casual shades. One thing Maui Jim brings to the table that we haven’t seen yet is an advanced frame polymer. Grilamid is a lightweight durable material that provides some improvement over cheaper plastic frames. Of course, this means you’ll have to pony up the dough to get a pair of these but they are probably the best polarized fishing sunglasses. They did manage to include rubber temple ends to secure the shades. Combined with deep ear retainers on the temples of these glasses, they’ll sit securely on your face without a problem. This is a good thing if you don’t want to be bothered with a lanyard. These shades might be secure enough on their own to not have to worry about them falling into the drink. Best For: Those looking for high end frames and a hybrid sport/casual feel – beware the price tag though! Oakley is a brand everyone knows and love in the world of high end sunglasses. While some of their sunglasses are a bit overkill for anglers, I think the Straight Jacket model from Oakley is a good pick. These sunglasses are probably the most slim model on our list so they make a good pick if you’re looking for a low profile pair of fishing sunglasses. With a100% UV coated lenses there’s nothing to worry about when you’re in full sun on the water. I do like that the temples flare near the front to help block light from the sides while maintaining a relatively streamlined look. Like Maui Jim, Oakley has brought an advanced frame polymer to the table. Their Plutonite frames are made from an improved plastic polymer which increases strength and flexibility. Of course there’s always a limit to how durable your shades can be, but they’ll outperform any economy pair. I like the generous rubber temples that help keep these shades in place. Like any good pair of sunglasses, the ends of the temples are smooth plastic. This makes it easier to slide the sunglasses under hats or through your hair without the rubber dragging or sticking painfully. One thing I would have liked to see is a few more color or lens options on this model. However, there are enough Oakley models available that you can choose another with the color and lenses you do like. Best For: Anglers looking for an athletic sunglass that works great for days on the lake. Despite the fact that they’re relatively small, sunglasses aren’t always simple to understand. Here are a few key factors to know and keep in mind when shopping for your next pair of fishing sunglasses. By the end of this article you’ll know exactly what to look for so you don’t get left with cheap glasses that break the first time you drop them. When it comes to the best polarized sunglasses for fishing there are two main aesthetic styles that you can pick from. Depending on how you prioritize your needs, you may find either option an attractive fit for your needs. They are generally the most optimal choice for fishing. These sunglasses are tight fitting and usually hug the face and temples. Because of the tight fit there’s less room for ambient light to sneak in around the lenses and enter your eye. This tight form also prevents hooks, branches, and other debris from easily getting around the glasses. Sport frame sunglasses are also nice because they’re generally made for a more intense workout. Look for rubberized temples on your sport sunglasses. Rubberized temples and nose pads are grips that help hold the sunglasses to your face when moving quickly or if you get sweaty. This will help prevent the shades from riding down your nose or falling into the drink when you bend over. Casual glasses are the other type of frame you’ll find. These are things like aviators, hipster shades, or retro. Casual shades are usually not concerned with rubber temples or form fitting designs. That’s not to say they’re totally useless. If you prefer a little more style, it’s still possible to find a good pair of casual shades that can work as great fishing sunglasses. VLT stands for visible light transmission. Depending on the conditions of the day, you’ll want glasses with varying degrees of visible light transmission. Some sunglasses are able to adjust on their own to changing light conditions. These sunglasses are known as photochromic and respond to the amount of light hitting the lenses. They then darken or lighten accordingly. They’re popular on prescription glasses but can be found in fishing sunglasses on high end models. As a general rule of thumb you’ll want a VLT rating of about 20% for fully sunny days on the water. For darker or cloudy days you may want to go with 50%+ VLT. The higher the percentage, the more light these glasses let through. For reference, a pair of clear safety glasses would be 100% VLT. Picking out a lens material can be challenging. Not because it’s hard to figure out which type of lens you want, but because there’s mainly one material that dominates the market. The vast majority of sunglasses are made from polycarbonate lenses. Polycarbonate is a synthetic man-made material that offers precision lenses that are lighter than glass. There is one big drawback of polycarbonate lenses, however. They are naturally susceptible to scratching. Luckily scratch resistant coatings are available and most polycarbonate lenses usually come with these tough coatings. After polycarbonate comes glass lenses. These lenses are truly made from ground glass. They’re heavier and can often be prone to shattering when dropped or during impact. Glass is much more scratch resistant than polycarbonate, however. After glass are the rare and expensive polyurethane lenses. These lenses are more durable than polycarbonate and won’t shatter like glass. These are the lightest weight option available but you’ll pay through the nose for the luxury. Sunglasses lenses are usually coated with materials that help improve the visual quality of the lens. Anti-glare coatings help reduce the impact of incoming glare and improve the ability of the lenses to block glare production. Other common lens coatings are UV resistant materials. These are usually used to defend your eyes from the harmful effects of incoming UV light. As you know UV can be harmful and damaging to eyes. UVA and UVB are slightly different forms of UV light that can both be blocked with properly coated lenses. Another lens coating that you might find is anti-smear or water repellent coatings. These help reduce the visual impact of fingerprints and shed water droplets more easily. While they seem like trivial issues, having the coatings makes a noticeable improvement to overall lens quality and visual enjoyment. Particularly for fishermen, a water resistant coating can prove helpful. Polarization is probably the most important feature in a pair of fishing sunglasses. Reducing the overall amount of incoming light through shaded lenses is important, but getting rid of glade helps you see through the water. That’s what polarization does. Polarization is a process by which lenses are created to get rid of certain orientations of light waves. No, I didn’t make that up. It’s the same magical science that makes digital watches possible. As it turns out, glare on the water’s surface is caused by light waves bouncing off in a relatively unified orientation. Polarized glasses are designed to block this type of light and thereby remove the glare from care windshields, water surfaces, and other shiny objects. If you want to be sure that your shades are polarized, simply look at a digital watch face through the glasses. Rotate the face of the watch and see if the screen become entirely black. If you rotate the watch face and the screen never becomes black, your shades aren’t polarized. Note: may not work for smartwatches and LED screens – just old school digital watches. Lanyards and straps are an incredibly useful accessory for fishing sunglasses. Floating straps in particular offer some serious benefits to the clumsy angler. Chums is a brand of sunglasses lanyard that has become as ubiquitous as Kleenex. Often people simply call any sunglass strap “Chums”. However, an off-brand strap should serve its purpose just as well in most cases. There are two main types of lanyard attachment. One style is a chinese finger trap method that self tensions on to the glasses once the earpiece is inserted. These can add a lot of bulk to the earpiece on the temples of most sunglasses like in this example. You may find this uncomfortable or cumbersome. Instead, you might opt for the less obtrusive straps that have a simple rubber retainer loop. These tend not to intrude on the feel and fit of glasses so much. This is one good example of this style of retainer loop. Picking out a pair of fishing sunglasses isn’t difficult. Now that you know what features to look for in your next pair of sunglasses, all you need to do is pick one from our reviews. Of course, there are many options from which to choose when you’re looking for shades. Be sure to consider whether or not you’ll use a lanyard, and exactly what priorities are most important to you. Then you can easily pick out a great model of sunglasses from any major manufacturer! I hope this guide was helpful for finding the best fishing sunglasses to fit your needs. If you want to comment or recommend a pair of sunglasses I didn’t include, please use my contact form to get in touch.